This recipe is a result of a hunting trip to the eastern part of San Diego County during the opening week of rabbit season in California. 3 rabbits deboned and ground. Marinated overnight in 1/2 cup Worcestershire Sauce. The meat should equal to about 2 lbs. of meat. In a large pot on medium heat, add the onions, garlic, bell pepper. Cook for 5 minutes. Add the pinto beans, diced tomatoes, tomato sauce, chili powder, ground black pepper, garlic powder, and salt to taste. Mix the ingredients and simmer on low heat for 15 – 20 minutes. 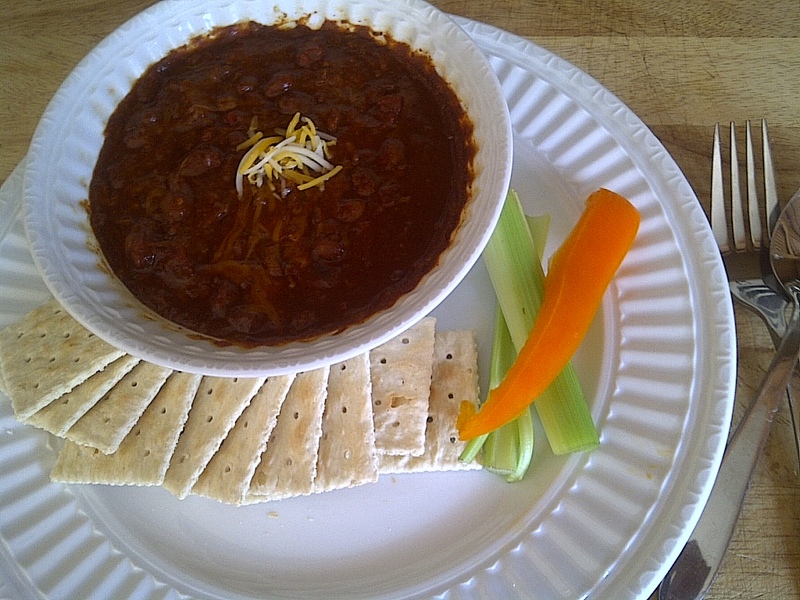 This is a great recipe and I highly recommend it to anyone who loves chili. If you like this recipe then check back next week for some awesome fresh fish recipes from North Dakota, Wyoming, and Montana. Made this this weekend and it was DELICIOUS! Thanks for sharing the recipie. I don’t have a meat grinder, so I cut the meat up into very small pieces and it turned out great.